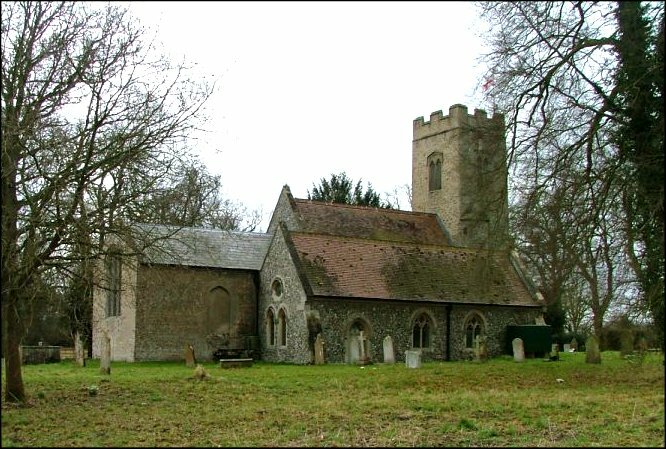 Tucked away in a fold of central Norfolk is this pretty church, set on the edge of the park of Marlingford Hall, which stands grandly just to the south. 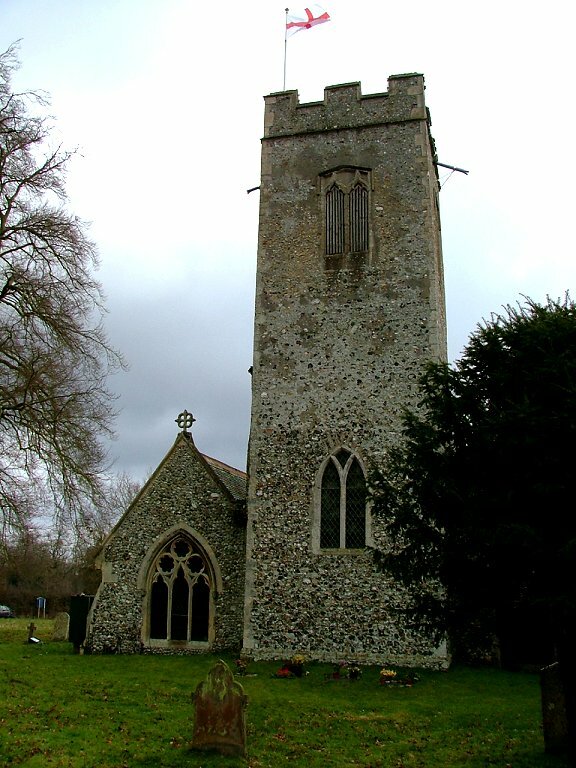 The tower is pretty much all 14th century, except for the curious reworking of the bell windows, and the Norman south doorway shows that the tower was built against an older church. But apart from that, almost all that you can see is Victorian. 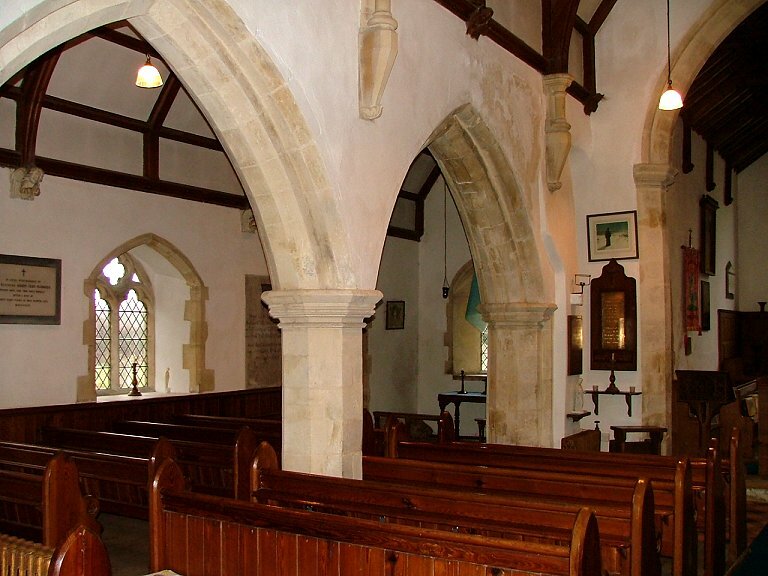 The chancel and the north aisle were completely rebuilt (the arcade inside is medieval, so there was an aisle here before), the aisle with a steeply pitched roof which looks rather incongruous from both west and east. 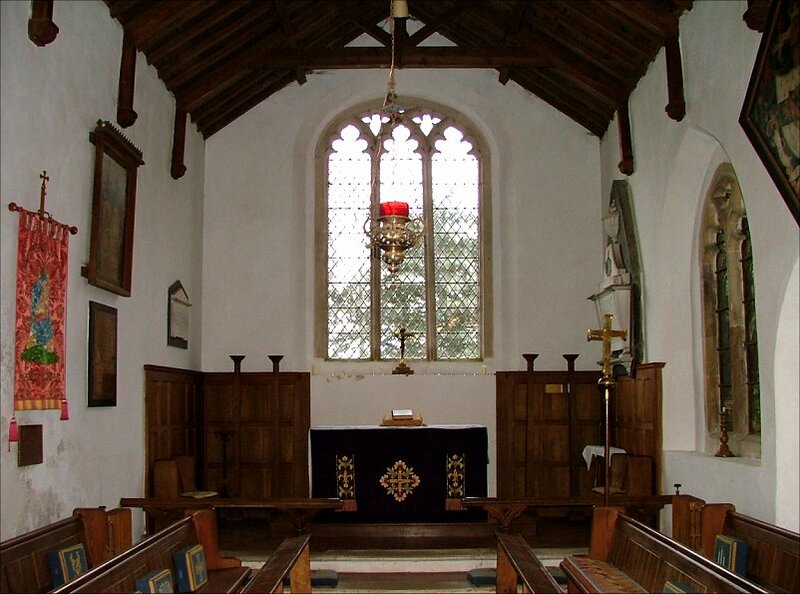 The east window composition of the aisle is particularly odd; two fat lancets side by side, with a crenellated round window above. 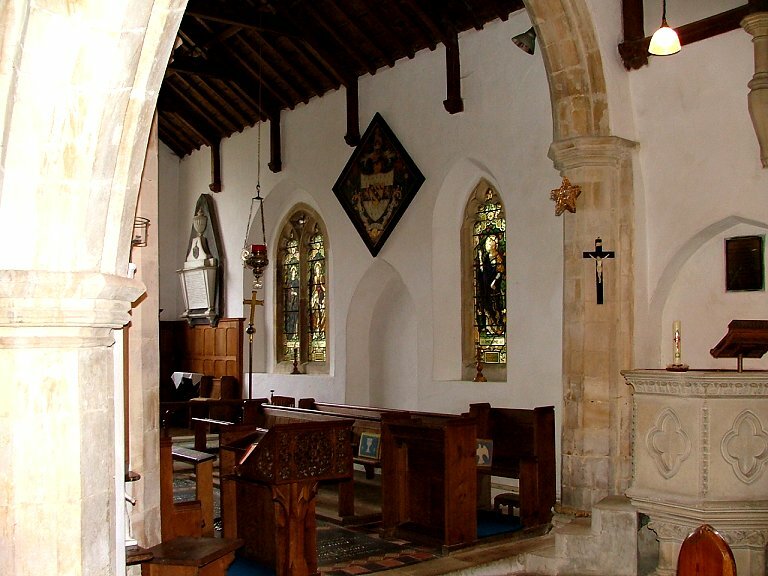 Perhaps the architect had seen the south doorway, and wanted to give the impression of transition, Saxon becoming Norman. Whatever, it now looks very much an 1880s period piece. 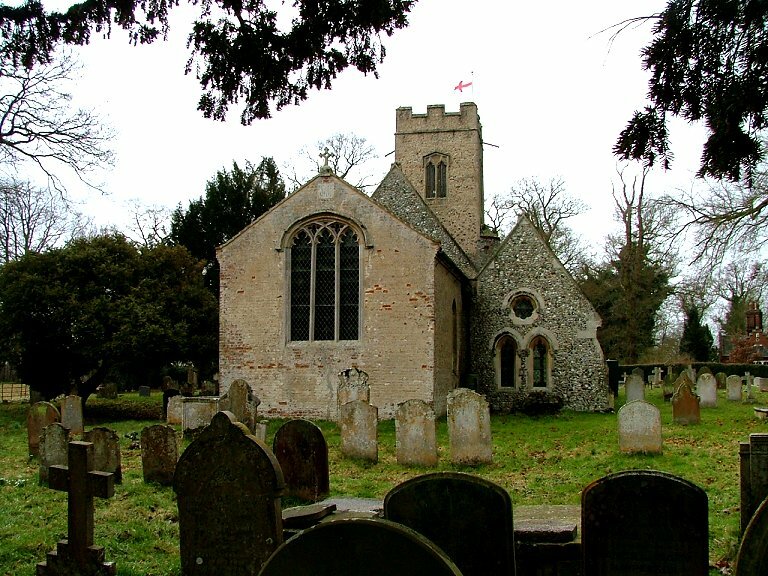 The sunshine we had glimpsed at neighbouring Bawburgh had now disappeared into a void of grey cloud, and as we entered the churchyard it started to snow heavily. Unsettled early March hurried us inside, and the interior was probably uncharacteristically gloomy, thanks to the weather. 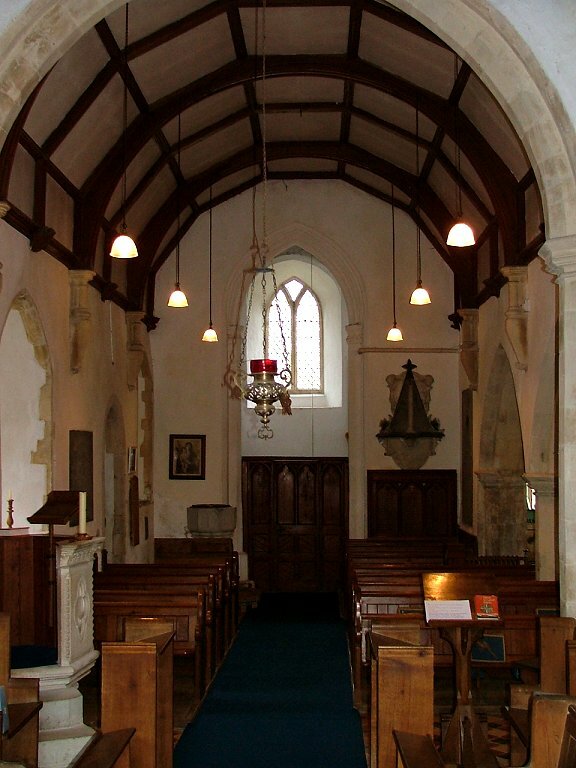 However, we found the light switches, and filled this lovely little church with light. 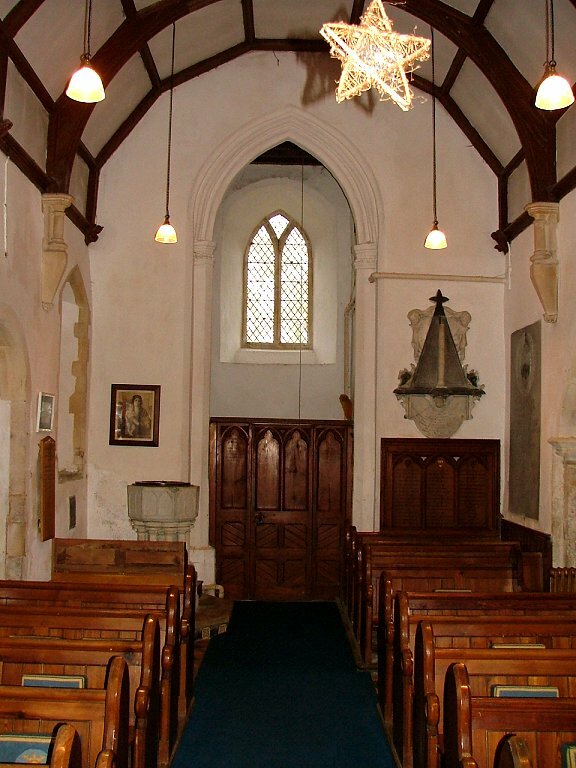 It is, as you would expect, wholly late 19th and early 20th centuries, but it retains the character of a small, rural church without the anonymity that the thirty-odd years before the First World War so often inflicted. 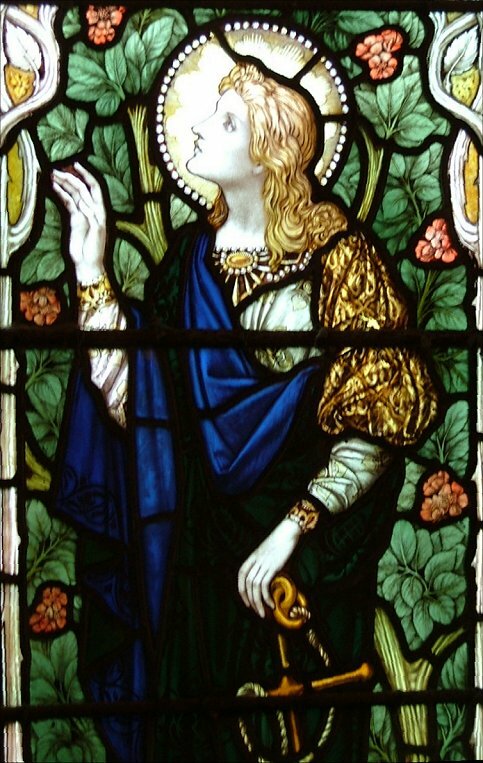 Best of all is the glass in the chancel south side. 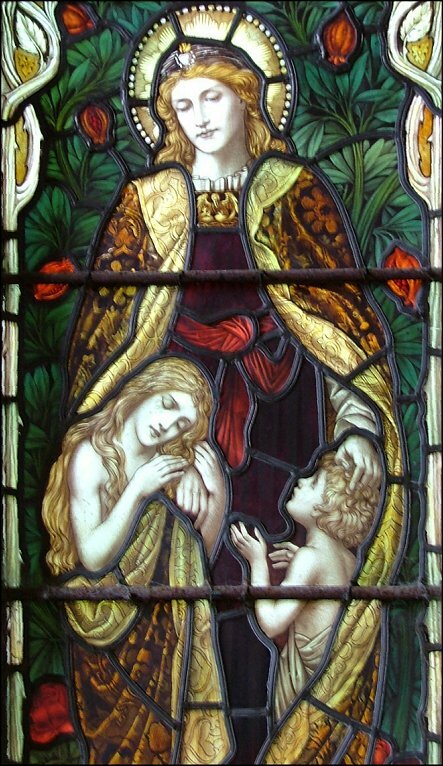 It is by Powell and Sons. Pevsner credits it to a Henry Holiday cartoon, which seems late for the 1905 date he gives. 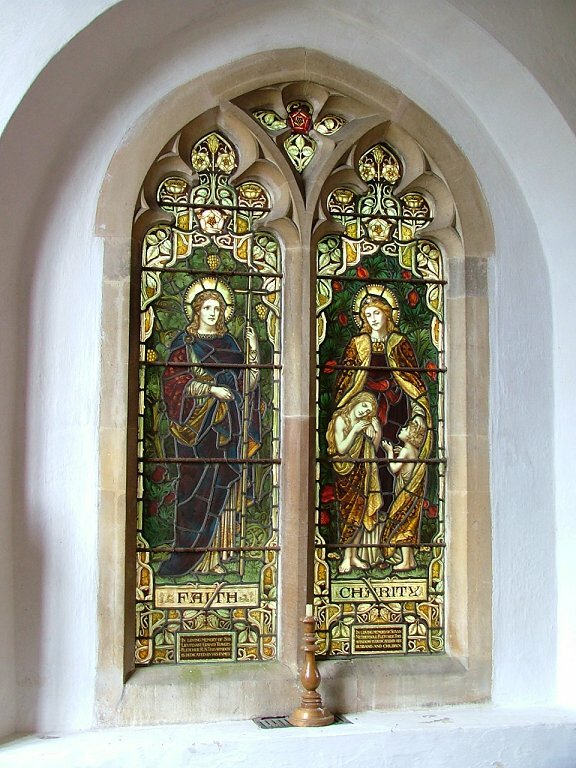 Whatever, the three figures of Faith, Hope and Charity are gorgeous in their settings of foliage. 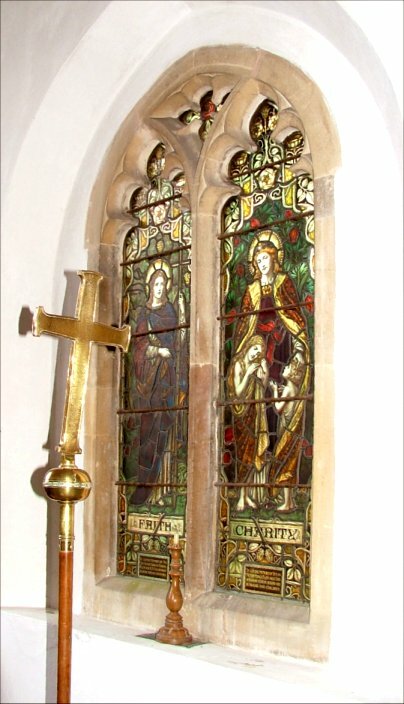 Charity is particularly tender, and I couldn't think of a better representation of this subject in the county. 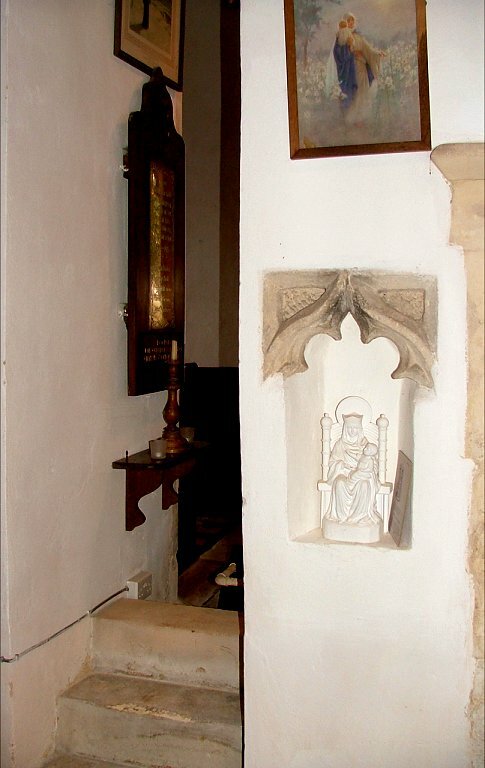 There's a modern Walsingham statue in a little niche on the north side of the arcade, which may be original and may actually have been a piscina, for beside it there is a passageway into the chancel, suggesting that the altar in the aisle was set to the west of it. 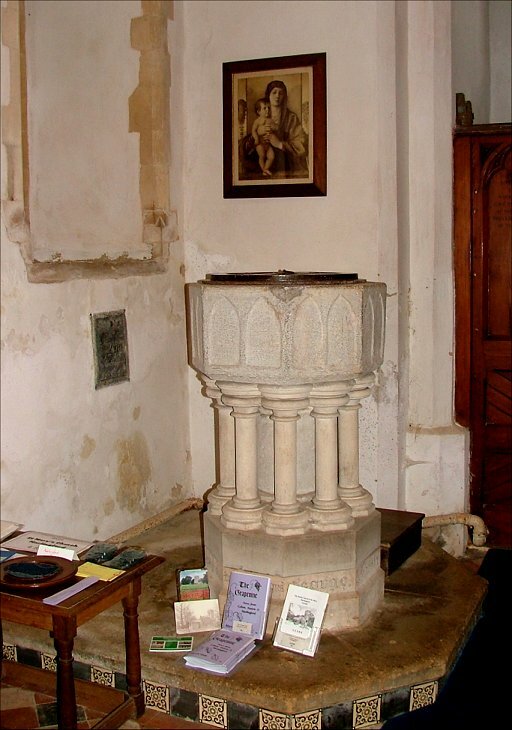 As is common in this part of Norfolk, the font is a Purbeck Marble bowl, reset on Victorian legs as at Easton and Swannington. 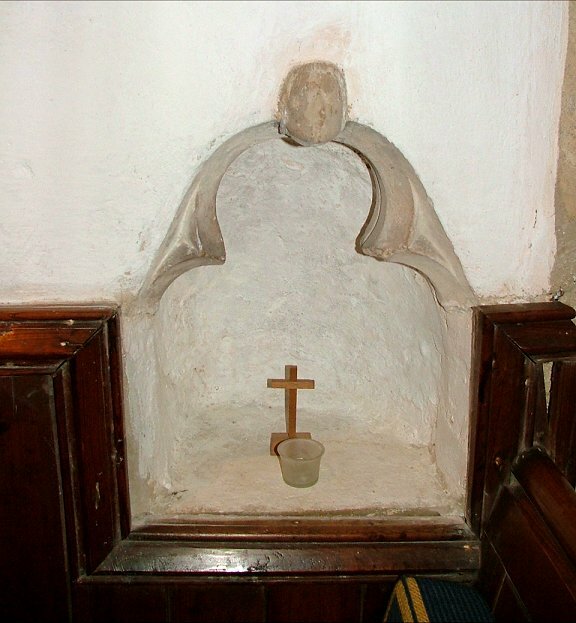 It looks rather curious here, because these 'off-the-shelf' bowls were mass-produced, and were generally considered a cheap 14th century option. Here it looks out of place on such a grand setting. 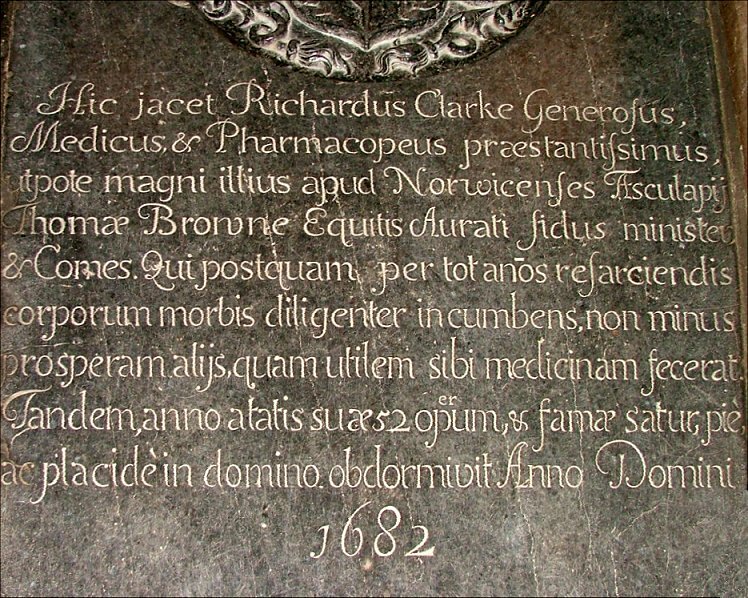 The chancel retains a large ledger stone to Richard Clarke, Generosus, Medicus et Pharmacopeus ('gentleman, physician and chemist') who was a friend of the more famous Thomas Brown of Norwich. 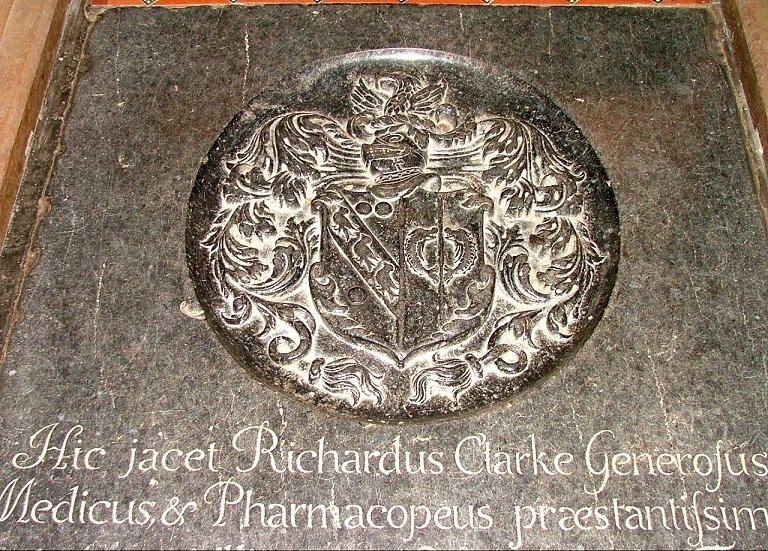 His heraldic device must be one of the most deeply cut in Norfolk. 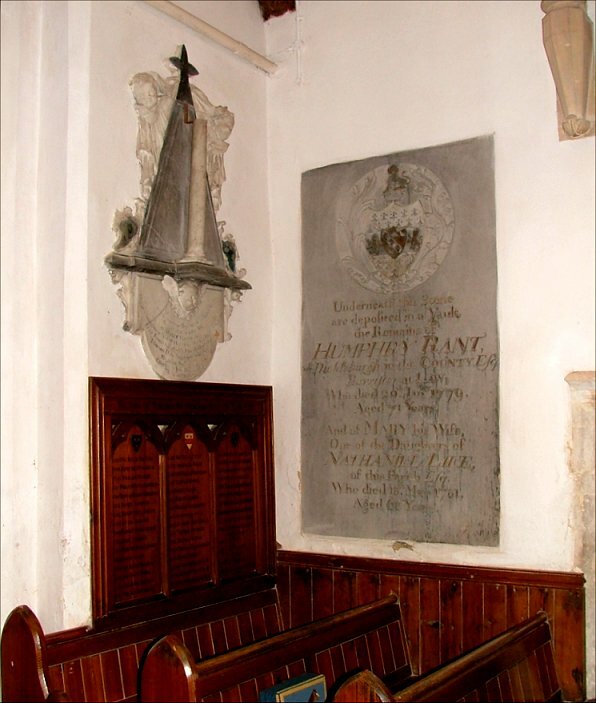 Three other 18th century memorials catch the eye as being of note. All three remember men with splendid names. 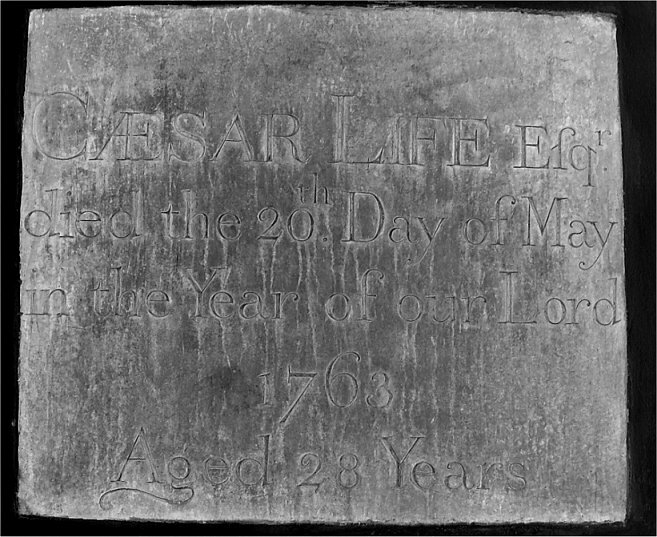 On the south nave wall is a large ledger stone, which must have once been set in the floor, to Ceasar Life, who sounds like the author of one of those joke book titles - 'Tossed on the Waves of Fortune' by Ceasar Life, perhaps. 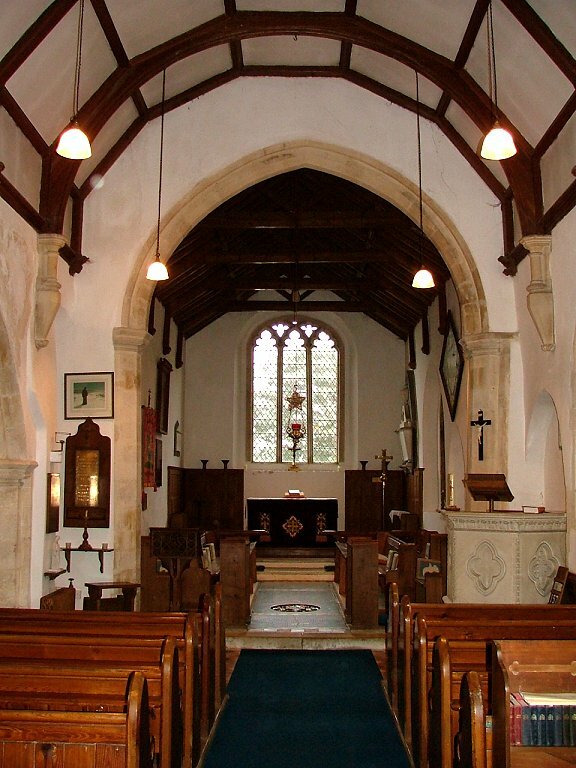 Across the nave is Humphrey Rant, presumably a descendant of the Humphrey Rant we had met a few miles off at Yelverton the previous week. 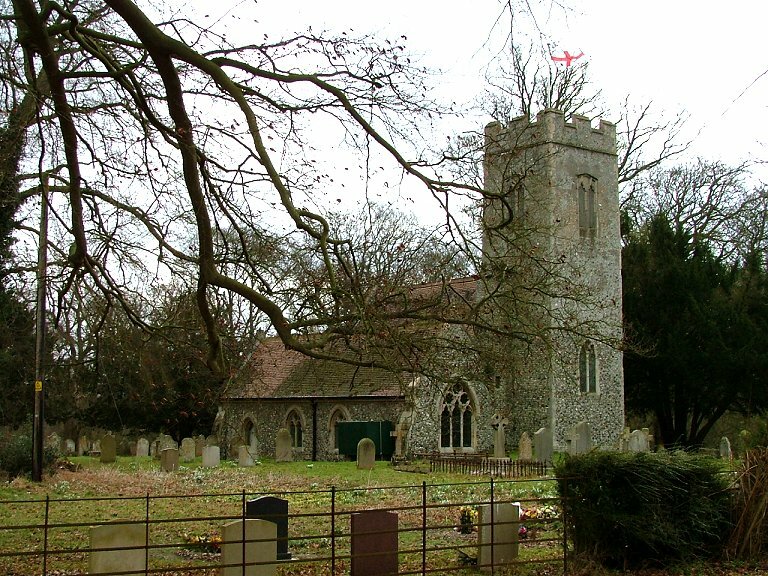 Between the two is Nathaniel Life, his memorial noted by Pevsner for its use of a broken column before a pyramid. 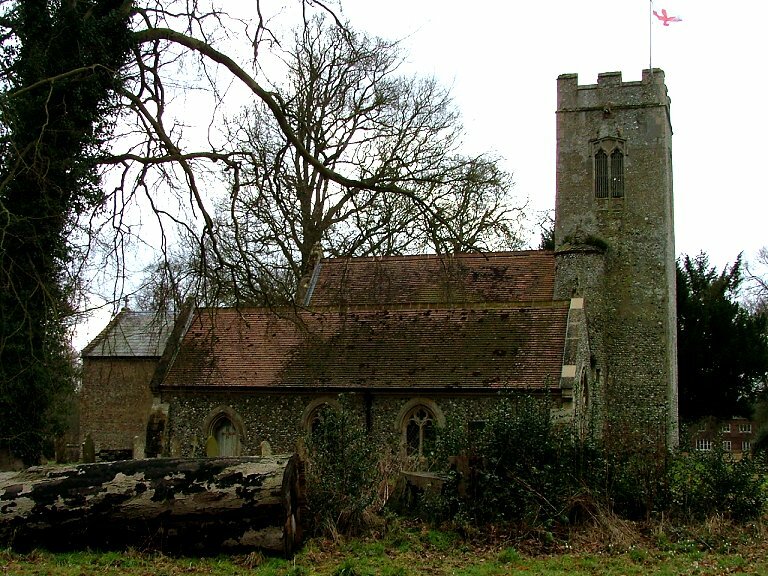 It is elaborate, but in fact his is the earliest of the three - he died in 1727. 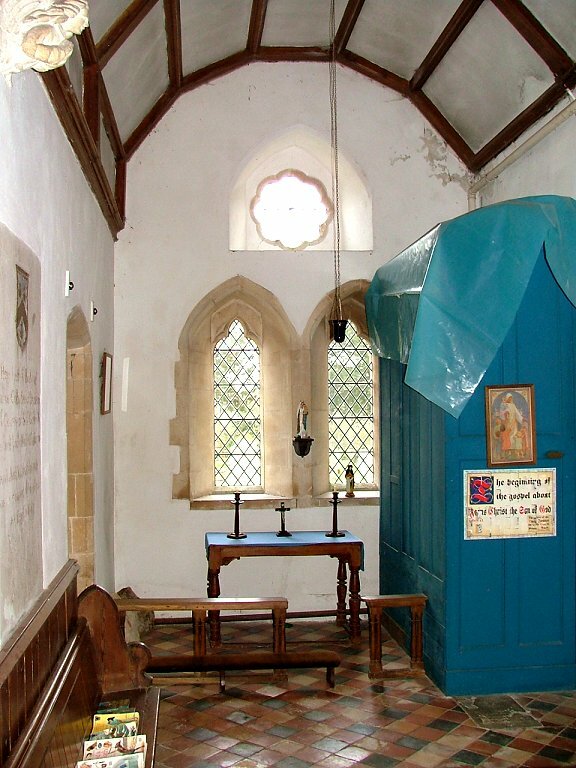 Marlingford also retains one of those printed, hand-coloured commandment boards you sometimes come across. 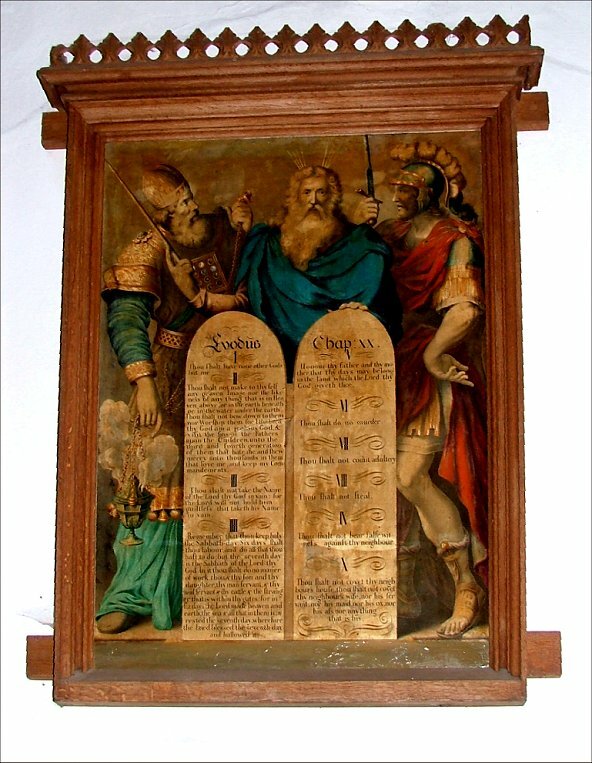 The tablets of stone are at the centre, with Aaron, Moses and Joshua leaning on them protectively at the top. 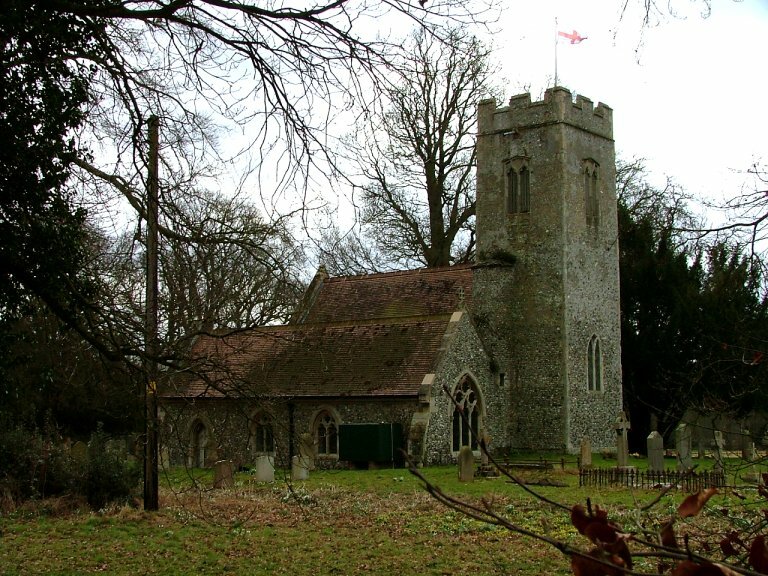 Monnro Cautley notes wistfully in his1940s survey of the churches of Norfolk and Suffolk that these had been very common in the days of his youth, but that even by the time of his writing they had nearly all disappeared. Sixty years on, this is an even rarer survival.